Wall Street Journal (WSJ) is a business-focussed prominent international daily. Incepted in 1889, it has been the largest newspaper in US by circulation through the years. The international daily publishes finest and trusted business content backed by great deal of resources. With such content in hand, WSJ was keen to reach a broader set of audience. It considered ways to reach students from higher education and sought a tool to keep them apprised of business related updates. 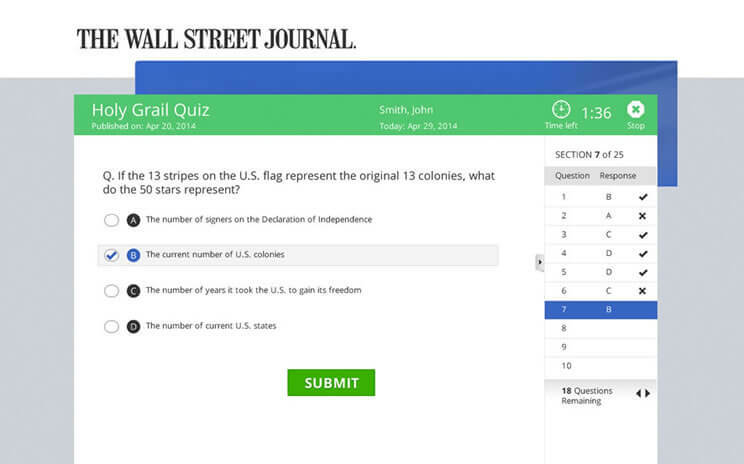 All this, to encourage subscriptions and make WSJ's profound content useful in student coursework and studies. 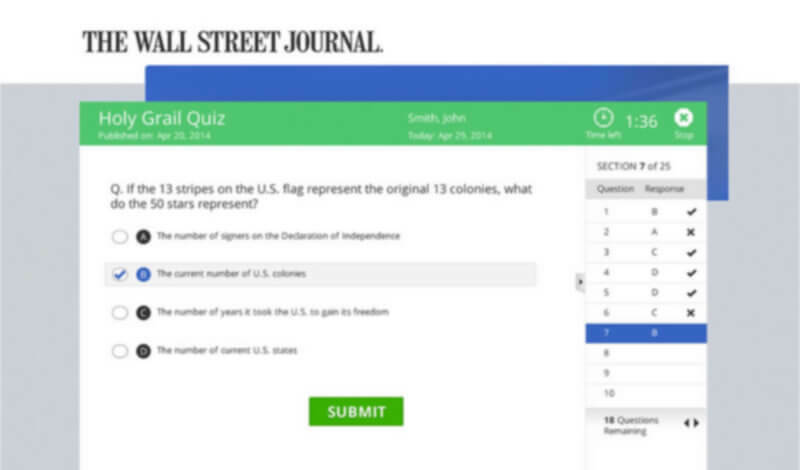 They longed for an elearning platform for educational institutions who could incorporate WSJ content in their teaching,as well as grading while reaching a younger audience. Examination Online team brainstormed the idea to design and develop a clean & user-friendly elearning platform. Examination online was customised to incorporate A multi layered subscription platform spanning across 17 disciplines and 426 sub-topics. The system covered school administrators , their instructors and students. The platform was customised for mobile first generation to provide easy access, quick assessment on an intuitive interface. 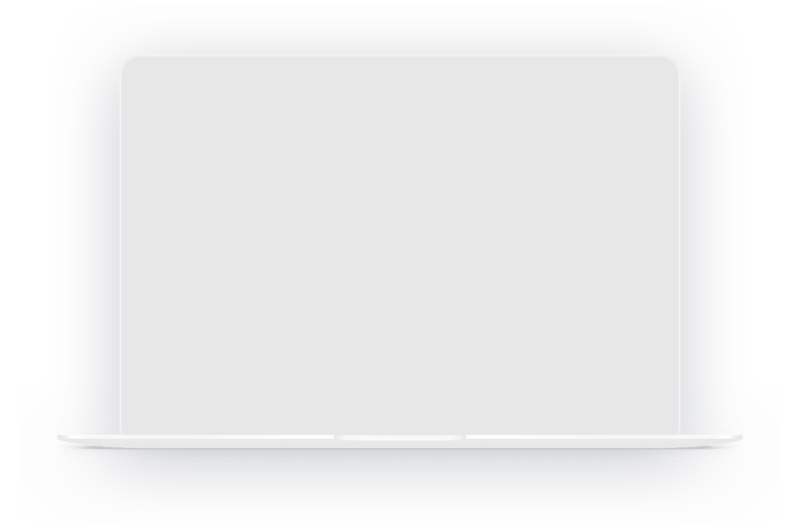 An alert system was weaved to notify members about new material and tests availability. Along with these, time tracking, instant scoring and detailed reports were integrated. All in all, the learning management solution delivered, successfully created brand awareness amongst younger audience, encouraged subscriptions and generated current affairs awareness.